Today, Alliance Defending Freedom (formerly Alliance Defense Fund), a legal ministry dedicated to protecting the rights of the unborn and other constitutional freedoms, announced a lawsuit against two Iowa Planned Parenthood clinics for fraud. While this lawsuit was filed over a year ago, it wasn’t until Monday that the federal court unsealed it, making the proceedings public. 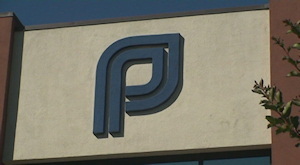 A former manager of two Iowa abortion clinics reported the clinics for Medicaid fraud, alleging that between 2002 and 2009, “Planned Parenthood of Greater Iowa, an affiliate now known as Planned Parenthood of the Heartland, filed nearly one-half million false claims with Medicaid from which Planned Parenthood received and retained nearly $28 million.” Damages payable to the United States and Iowa as a result of this lawsuit could total $5.5 billion. Americans deserve to know if their hard-earned tax money is being funneled to groups that are misusing it. People may hold different views about abortion, but everyone can agree that Planned Parenthood should play by the same rules as everyone else. It certainly isn’t entitled to any public funds, especially if it is defrauding Medicaid and the American taxpayer. Under the “C-Mail” program, Planned Parenthood would mail “a year’s supply of birth control pills to women who had only been seen once at a Planned Parenthood clinic and usually by personnel who were not qualified health care professionals. After that, Planned Parenthood mailed thousands of unrequested birth control pills to those clients.” Their profit margin on an unrequested 28-day supply of pills was $23.34, with Medicaid paying $26.32 for pills that only cost $2.98. Planned Parenthood would even resell the pills that were returned. Alliance Defending Freedom is representing Abby Johnson in a similar claim that was unsealed in Texas last March.